Celebrating the Gilmore Girls Revival with this Lime watermelon coconut water! You guys! Gilmore Girls now have a premiere date. It was revealed a few days ago. Mark November 25 in your planners as the G-day, because it’s finally happening! I’m so excited! What about you? This is the official trailer and so far it looks good, very polished since it’s HD, which I have to get used to. Is it weird that I’m almost getting teary eyed right now? This show just holds such a special place in my heart, which you know if you’ve been reading this blog for a while because I talk about it a lot. I just wish my mom was here so we could watch it together. That’s maybe why I’m getting teary eyed. I actually have a project ready for you that’s all about the Gilmore Girls that I’ve had stuck in my head for years and I’ll share more about that soon. But for now, let’s toast to the revival with this delicious lime watermelon coconut water. It’s the most refreshing and perfect drink for these hot days. You know I’m not the biggest fan of summer, or more so the heat, but one of the things that I do actually love about it are the watermelons. The most amazing fruit ever. 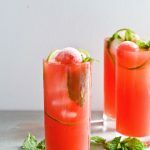 This lime watermelon coconut water is really easy to make and it’s so light and fresh. It has (what I call) a healthy taste, you make one sip and just instantly feel better. 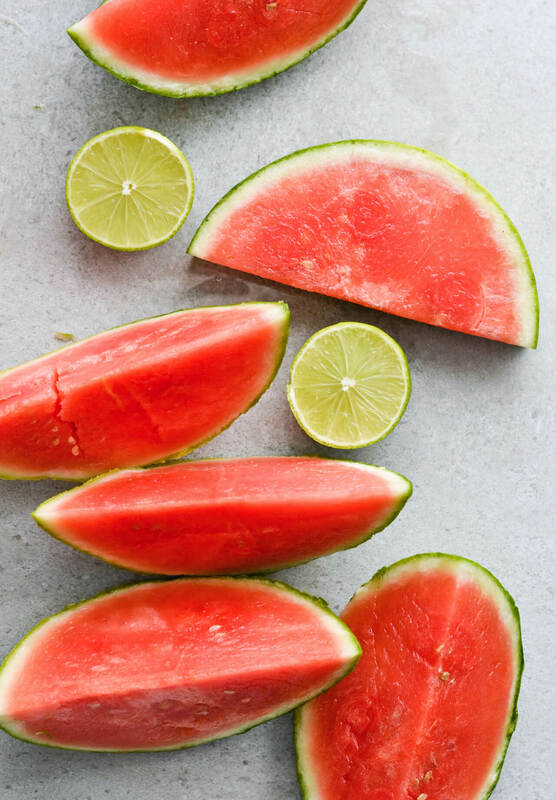 It’s not that I need anything with it, but for a light summer dinner I would pair this lime watermelon coconut water with a big bowl of tortilla chips and homemade guacamole. It just doesn’t get better than this. 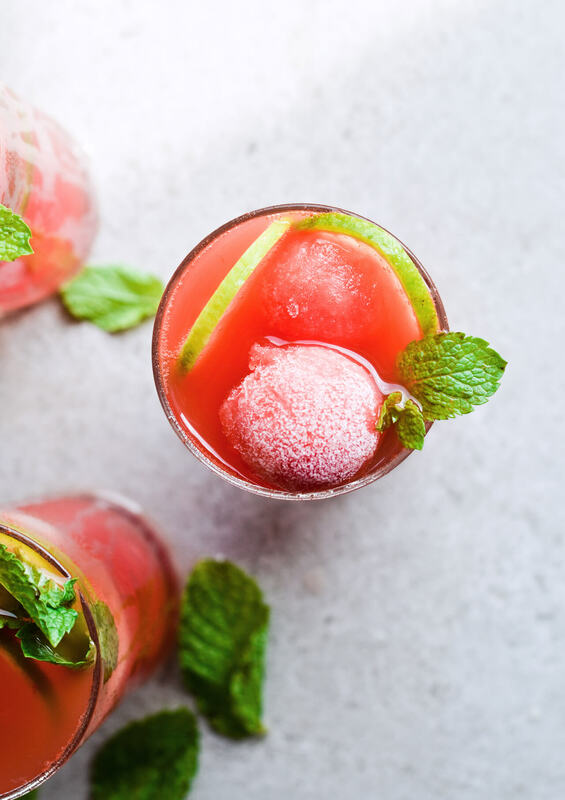 A refreshing, light summer drink. Makes about 1.2 L (5 cups) water. Cut the watermelon in half and first make a few watermelon balls with a melon baller (about 10). Put in an airtight container and place in the freezer. 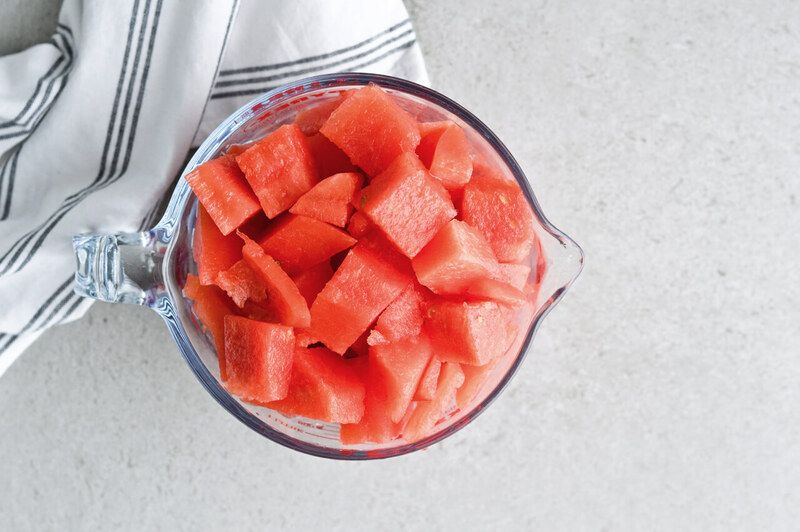 Peel the leftover watermelon, chop it in small pieces. 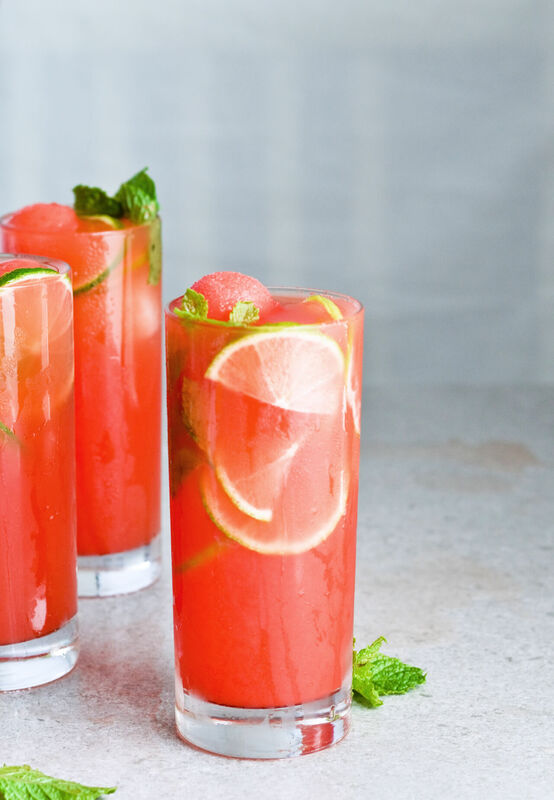 Transfer watermelon to a blender, add lime juice and 120ml (1/2 cup) coconut water. 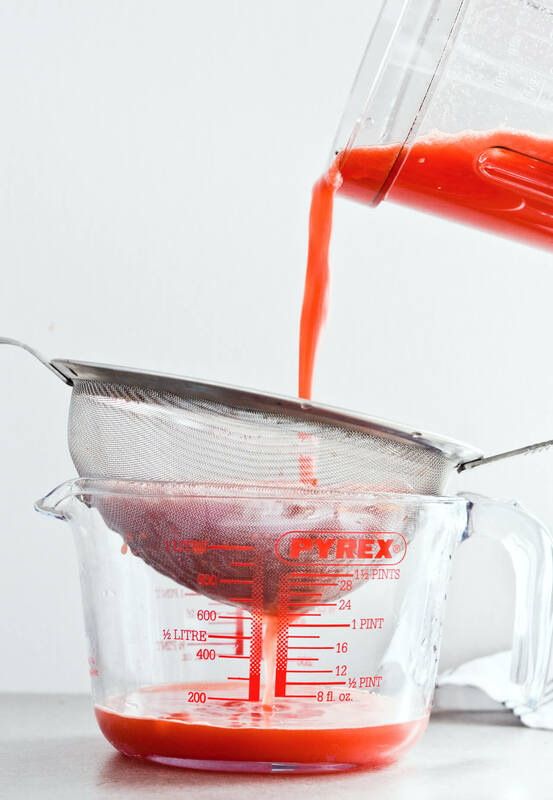 Blend until completely pureed and smooth. 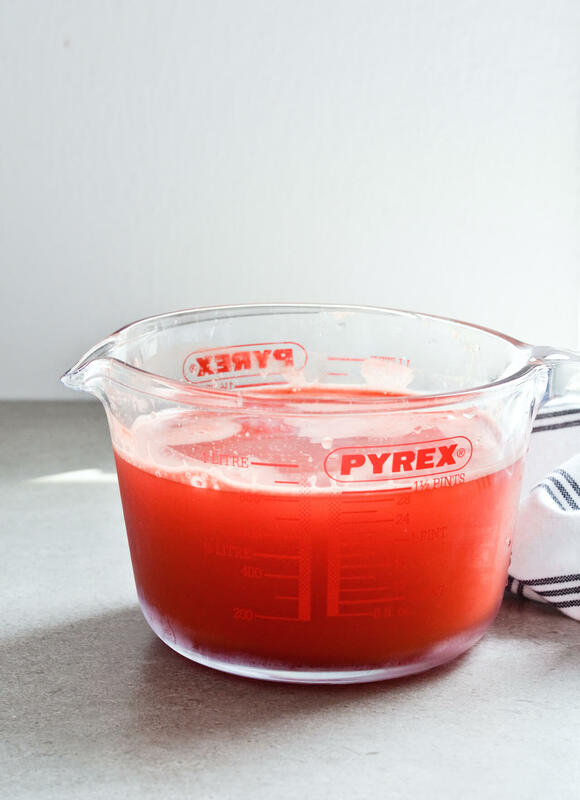 Taste and add as much agave syrup as you wish, depending on the sweetness of the watermelon. Strain into a pitcher, using a fine mesh sieve. Add remaining coconut water and stir well. 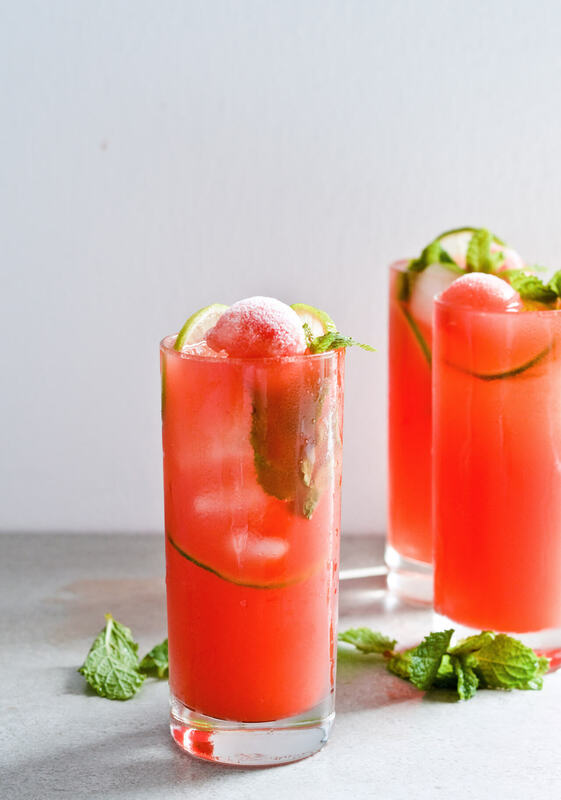 Serve over ice, add a few mint leaves and lime slices, top off with 1-2 frozen watermelon balls. You can make this ahead. Store it in an airtight container in the fridge and drink within a day. 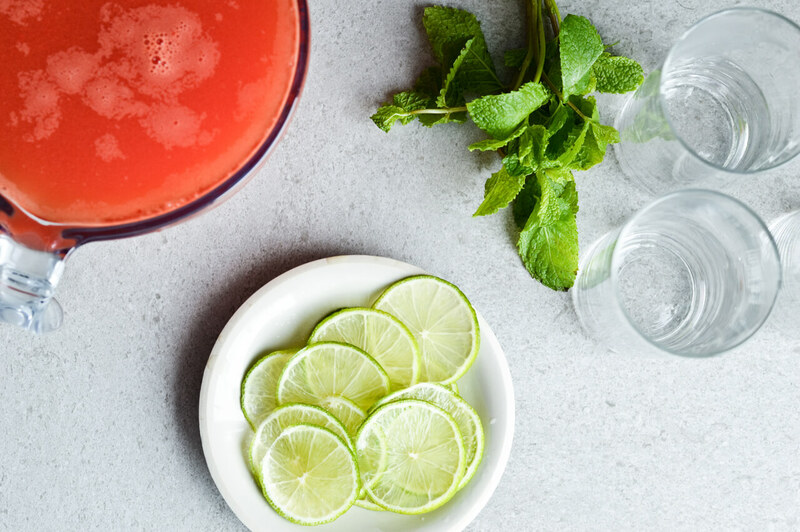 Recipe consulted when making this –Epicurious watermelon agua fresca. Oh wow I love love love the color of this!